Garcinia Cambogia, a tropical fruit known as Malabar Tamarind, is one of the world’s most popular nutritional supplements used to help weight control. Also, Garcinia has a role in maintaining healthy levels of cholesterol and blood sugar. Garcinia Cambogia is used as an aid to weight loss, along with a healthy diet and physical activity. The main active ingredient in Garcinia is Hydroxy Citric Acid (HCA), which according to scientific research shows that it helps to burn fat and suppress appetite. HCA blocks the action of the enzyme citrate lyase that the body uses to produce fat. HCA also increases the levels of serotonin nerve transducer, which suppresses the feeling of hunger. Garcinia Cambogia stimulates metabolism and metabolic processes, regulates blood glucose levels and helps reduce the “low” cholesterol and triglycerides in the blood and helps normalize hyperlipidemia. Also, Garcinia Cambogia also helps maintain healthy and beautiful hair, skin and nails. WHAT IS OPTISLIM GARCINIA CAMBOGIA? 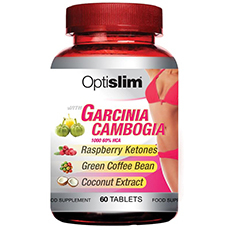 Optislim Garcinia Cambogia is a food supplement source of the Garcinia Cambogia extract, possessing powerful metabolic enhancement properties, helping to burn fat and carbohydrates and appetite suppression. Made from natural ingredients. 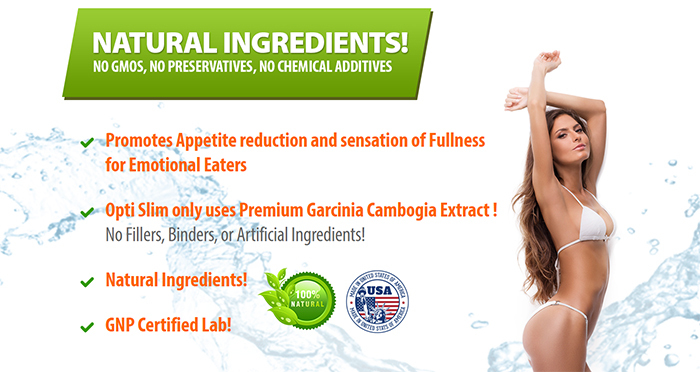 If you need a dietary supplement to help you get rid of excess pounds and stimulate metabolism, our formula with Garcinia Cambodia extract is the product for you! This unique formula contains 100% natural Garcinia Cambogia in easy-to-take capsules. Optislim Garcinia Cambogia is a product based on a unique formula that promotes balanced weight regulation. Helps burn fat, while at the same time it supplies the body with energy. Combined with a low calorie diet and physical activity, the intake of the product effectively helps achieve the desired figure. 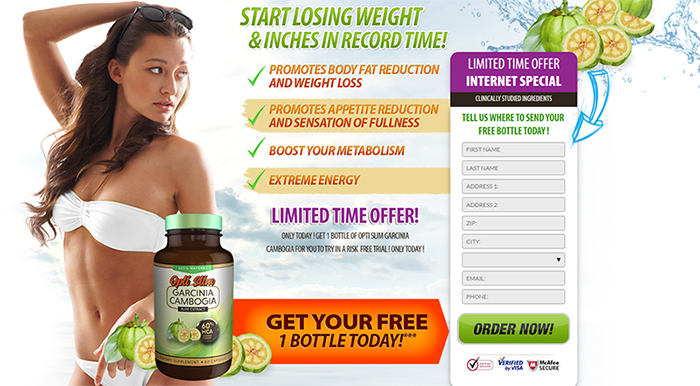 WHAT ARE THE BENEFITS OF OPTISLIM GARCINIA CAMBOGIA? HOW TO USE: 1 capsule 2 or 3 times a day, 30 minutes before a meal with one glass of water. Do not exceed the recommended intake. Do not use as a substitute for varied meals. Keep out of the reach and sight of children. WHY IS OPTISLIM GARCINIA CAMBOGIA? Optislim Garcinia Cambogia is a powerful food supplement formula for weight loss, reduces body weight, prevents the conversion of carbohydrates into fat, prevents fat accumulation in the abdomen and helps fast burning of excess fat.